So a few weeks ago I saw an interesting article about why the X-men took so long to really catch on and become the mega hit we all know and love. 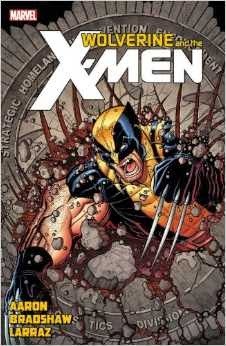 The writer said it was because the X-men from 1963 until 1975 were just derivatives of what Marvel was already doing. Yeah they were a team, but they didn’t have the bonds as deep or as complicated as the Fantastic Four. Yeah they were teens dealing with growing up, but Spider-Man cornered the market on teen angst and growing up. They were kind of just there until 1975 when they changed the team up and started focusing as much on the relationships and differences of the team members as they did the action. I guess that’s what the dirty little secret of X-men is, especially in the 90s when they became super megastars, X-men is the male equivalent of General Hospital with lasers, claws, explosions, and killer robots thrown in. Wolverine and the X-men Volume 8, written by Jason Aaron and art by Nick Bradshaw and Pepe Larraz, does an amazing job of capturing this mix. 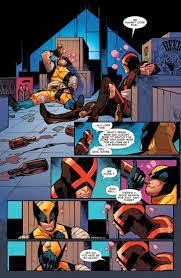 In one issue we have Wolverine and Cyclops fighting Sentinels and then sitting down and drinking beers reminiscing and drunkenly explaining why they were at each other’s throats. We also get two spies in the Jean Grey School who have wildly varying views on the place trying to decide is the place a menace and threat to humans or just a place for outsiders to come and finally belong. 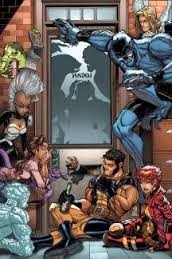 Since this is the end of Jason Aaron’s run on the book we also get a graduation and some could say “promotion” for some of the younger but long lasting characters in the X-men roster. 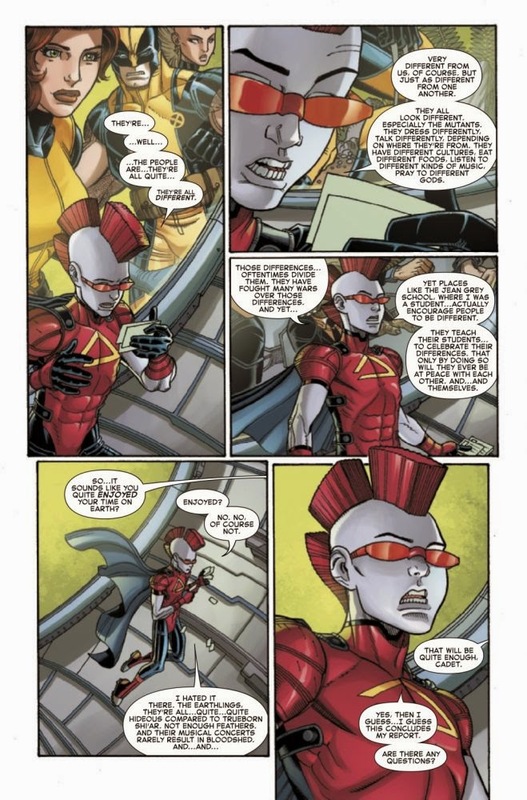 It was especially nice to see the graduation of Quentin Quire, the reformed mutant terrorist who started the schism between Wolverine and Cyclops, who started Aaron’s run being dragged to the school in chains by Wolverine and now he is leaving as class president and the most popular kid in school. Jason Aaron said he wanted this run to be fun and I would say he knocked that goal out of the park. These past 8 volumes have been amazing and established a Harry Potter meets mutants feeling that I hope whoever is taking over the book can keep up. I can’t wait for this to come out in an Omnibus so I can add it to my permanent comic collection. I suggest if you are a fan of fun comics you go and pick this volume and the previous 7 ones up.